The League of Nations, abbreviated as LN or LoN, (French : Société des Nations, [sɔsjete de nasjɔ̃] abbreviated as "SDN" or "SdN" and meaning "Society of Nations") was an intergovernmental organisation founded on 10 January 1920 as a result of the Paris Peace Conference that ended the First World War. 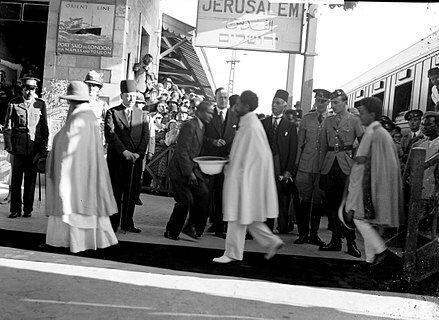 It was the first worldwide intergovernmental organisation whose principal mission was to maintain world peace. 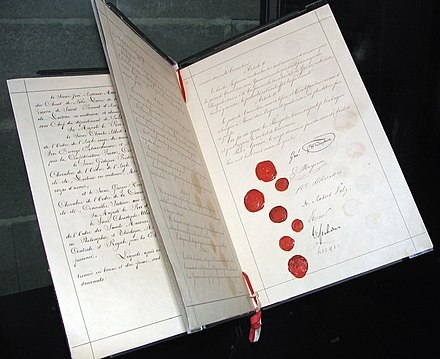 Its primary goals, as stated in its Covenant, included preventing wars through collective security and disarmament and settling international disputes through negotiation and arbitration. Other issues in this and related treaties included labour conditions, just treatment of native inhabitants, human and drug trafficking, the arms trade, global health, prisoners of war, and protection of minorities in Europe. 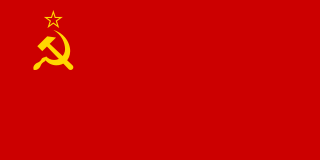 At its greatest extent from 28 September 1934 to 23 February 1935, it had 58 members. Perpetual Peace: A Philosophical Sketch is a 1795 book by Immanuel Kant. Goldsworthy Lowes Dickinson, known as Goldie, was a British political scientist and philosopher. He lived most of his life at Cambridge, where he wrote a dissertation on Neoplatonism before becoming a fellow. He was closely associated with the Bloomsbury Group. 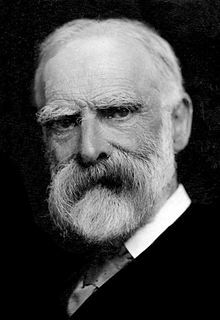 James Bryce, 1st Viscount Bryce, was a British academic, jurist, historian and Liberal politician. The Bryce Group was a loose organisation of British Liberal Party members which was devoted to studying international organisation. At the Paris Peace Conference in 1919, Wilson, Cecil and Smuts all put forward their draft proposals. After lengthy negotiations between the delegates, the Hurst–Miller draft was finally produced as a basis for the Covenant. After more negotiation and compromise, the delegates finally approved of the proposal to create the League of Nations (French : Société des Nations, German : Völkerbund) on 25 January 1919. The final Covenant of the League of Nations was drafted by a special commission, and the League was established by Part I of the Treaty of Versailles. On 28 June 1919,   44 states signed the Covenant, including 31 states which had taken part in the war on the side of the Triple Entente or joined it during the conflict. Under the agreed terms of the Twenty-One Demands with China, the Japanese government had the right to station its troops in the area around the South Manchurian Railway, a major trade route between the two countries, in the Chinese region of Manchuria. In September 1931, a section of the railway was lightly damaged by the Japanese Kwantung Army as a pretext for an invasion of Manchuria. The Japanese army claimed that Chinese soldiers had sabotaged the railway and in apparent retaliation (acting contrary to orders from Tokyo,  ) occupied all of Manchuria. They renamed the area Manchukuo, and on 9 March 1932 set up a puppet government, with Pu Yi, the former emperor of China, as its executive head. 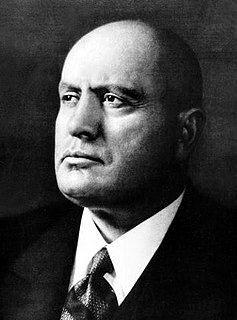 This new entity was recognised only by the governments of Italy, Spain and Nazi Germany; the rest of the world still considered Manchuria legally part of China. The Dumbarton Oaks Conference or, more formally, the Washington Conversations on International Peace and Security Organization was an international conference at which the United Nations was formulated and negotiated among international leaders. The conference was held at Dumbarton Oaks, in Washington, D.C., from August 21, 1944, to October 7, 1944. Edgar Algernon Robert Gascoyne-Cecil, 1st Viscount Cecil of Chelwood,, known as Lord Robert Cecil from 1868 to 1923, was a British lawyer, politician and diplomat. He was one of the architects of the League of Nations and a defender of it, whose service to the organisation saw him awarded the Nobel Peace Prize in 1937. The Permanent Mandates Commission (PMC) was the commission of the League of Nations responsible for oversight of mandates. The first twenty-six articles of the Treaty of Versailles contained the League of Nations Covenant. The commission was established on 1 December 1920 under Article 22 of the Covenant and was headquartered at Geneva. Article 22 stipulated that "A permanent Commission shall be constituted to receive and examine the annual reports of the Mandatories and to advise the Council on all matters relating to the observance of the mandates." 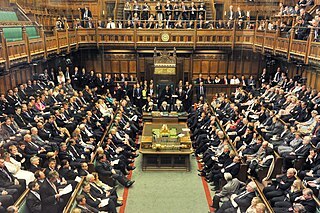 A peace congress, in international relations, has at times been defined in a way that would distinguish it from a peace conference, as an ambitious forum to carry out dispute resolution in international affairs, and prevent wars. This idea was widely promoted during the nineteenth century, anticipating the international bodies that would be set up in the twentieth century with comparable aims. The League of Nations was established with three main constitutional organs: the Assembly; the Council; the Permanent Secretariat. The two essential wings of the League were the Permanent Court of International Justice and the International Labour Organization. ↑ Christian, Tomuschat (1995). The United Nations at Age Fifty: A Legal Perspective. Martinus Nijhoff Publishers. p. 77. ISBN 9789041101457. ↑ "Covenant of the League of Nations". The Avalon Project. Archived from the original on 26 July 2011. Retrieved 30 August 2011. ↑ See Article 23, "Covenant of the League of Nations". Archived from the original on 26 July 2011. 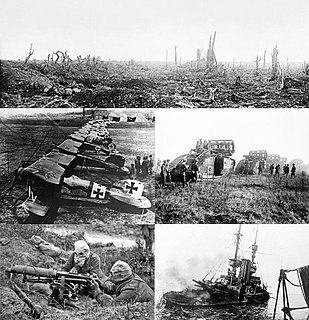 Retrieved 20 April 2009. , "Treaty of Versailles". Archived from the original on 19 January 2010. Retrieved 23 January 2010. and Minority Rights Treaties. ↑ Jahanpour, Farhang. "The Elusiveness of Trust: the experience of Security Council and Iran" (PDF). Transnational Foundation of Peace and Future Research. p. 2. Archived (PDF) from the original on 27 July 2014. Retrieved 27 June 2008. ↑ Osakwe, C O (1972). The participation of the Soviet Union in universal international organizations. : A political and legal analysis of Soviet strategies and aspirations inside ILO, UNESCO and WHO. Springer. p. 5. ISBN 978-9028600027. ↑ Pericles, Lewis (2000). Modernism, Nationalism, and the Novel. Cambridge University Press. p. 52. ISBN 9781139426589. ↑ Ginneken, Anique H. M. van (2006). Historical Dictionary of the League of Nations. Scarecrow Press. p. 174. ISBN 9780810865136. ↑ Ellis, Charles Howard (2003). The Origin, Structure & Working of the League of Nations. Lawbook Exchange Ltd. p. 169. ISBN 9781584773207. 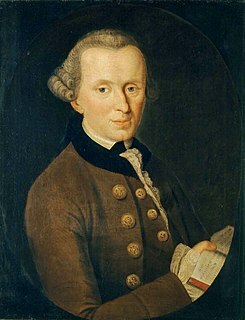 ↑ Kant, Immanuel. "Perpetual Peace: A Philosophical Sketch". Mount Holyoke College. Archived from the original on 14 May 2008. Retrieved 16 May 2008. ↑ Skirbekk & Gilje 2001, p. 288. ↑ Kant, Immanuel (1795). "Perpetual Peace". Constitution Society. Archived from the original on 7 October 2011. Retrieved 30 August 2011. ↑ Rapoport 1995, pp. 498–500. ↑ Powaski, Ronald (1991). Toward an Entangling Alliance: American Isolationism, Internationalism, and Europe, 1901–1950. Greenwood Publishing Group. p. 14. ISBN 9780313272745. ↑ About Theodore Roosevelt Archived 7 April 2017 at the Wayback Machine , "Roosevelt's attitude toward a league of nations varied with his changing emphases on realism, nationalism, and internationalism. He had called for a world league to enforce peace in his Nobel Peace Prize address of 1910, and he had affirmed the concept in 1914, two years before President Wilson espoused it." ↑ Morris, Charles (1910). The Marvelous Career of Theodore Roosevelt: Including what He Has Done and Stands For; His Early Life and Public Services; the Story of His African Trip; His Memorable Journey Through Europe; and His Enthusiastic Welcome Home. p. 370. ↑ "Roosevelt's Nobel Peace Prize acceptance speech". Archived from the original on 25 December 2016. Retrieved 13 September 2016. ↑ "Before the League of Nations". The United Nations Office at Geneva. Archived from the original on 9 December 2008. Retrieved 14 June 2008. 1 2 3 Northedge, F. S. (1986). The League of Nations: Its life and times, 1920–1946. Leicester University Press. ISBN 978-0-7185-1194-4. 1 2 Marchand 2015, pp. 182–184. ↑ Marchand 2015, p. 102. ↑ Marchand 2015, p. 194. ↑ "Women Intend to End Strife". Washington, D. C.: The Washington Herald . 10 January 1915. p. 1. Archived from the original on 31 August 2017. Retrieved 31 August 2017– via Newspapers.com. ↑ Everard & de Haan 2016, pp. 64–65. ↑ van der Veen, Sietske (22 June 2017). "Hirschmann, Susanna Theodora Cornelia (1871–1957)". Huygens ING (in Dutch). The Hague, The Netherlands: Huygens Institute for the History of the Netherlands. Archived from the original on 30 August 2017. Retrieved 30 August 2017. ↑ Jacobs 1996, p. 94. ↑ Caravantes 2004, pp. 101–103. ↑ Wiltsher 1985, pp. 110–125. ↑ Dubin, Martin David (1970). "Toward the Concept of Collective Security: The Bryce Group's "Proposals for the Avoidance of War," 1914–1917". 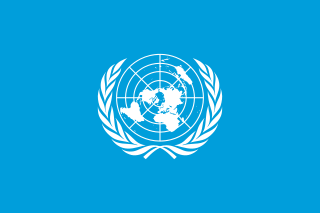 International Organization. The University of Wisconsin Press. 24 (2): 288–318. doi:10.1017/S0020818300025911. JSTOR 2705943. ↑ Leonard Woolf (2010). International Government. BiblioBazaar. ISBN 9781177952934. ↑ Archer 2001, p. 14. ↑ Bell 2007, p. 8. 1 2 3 4 "The League of Nations – Karl J. Schmidt". American History. Archived from the original on 19 December 2013. Retrieved 10 December 2013. ↑ Magliveras 1999, p. 8. 1 2 "Inter-Allied Women's Conference in Paris". The Sydney Morning Herald. 23 May 1919. p. 5. Archived from the original on 1 September 2017. Retrieved 31 August 2017– via Newspapers.com. ↑ "Women and the Peace Conference". The Manchester Guardian. 18 February 1919. p. 5. Archived from the original on 1 September 2017. Retrieved 31 August 2017– via Newspapers.com. ↑ Drexel, Constance (15 March 1919). "Women Gain Victory at Paris Conference". Los Angeles Times. p. 2. Archived from the original on 1 September 2017. Retrieved 31 August 2017– via Newspapers.com. 1 2 Wiltsher 1985, pp. 200–202. ↑ Meyer & Prügl 1999, p. 20. ↑ Pietilä 1999, p. 2. ↑ Wiltsher 1985, p. 212. ↑ Levinovitz & Ringertz 2001, p. 170. ↑ Scott 1973, p. 51. ↑ Scott 1973, p. 67. ↑ League of Nations 1935, p. 22. ↑ Forster 1982, pp. 171–76. ↑ Grandjean, Martin (2017). 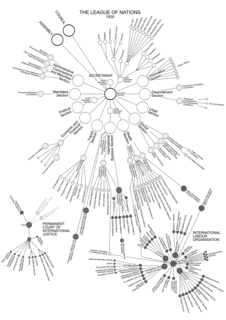 "Complex structures and international organizations" [Analisi e visualizzazioni delle reti in storia. L'esempio della cooperazione intellettuale della Società delle Nazioni]. Memoria e Ricerca (2): 371–393. doi:10.14647/87204. Archived from the original on 7 November 2017. Retrieved 31 October 2017. See also: French version Archived 7 November 2017 at the Wayback Machine (PDF) and English summary Archived 2 November 2017 at the Wayback Machine . ↑ Northedge 1986, pp. 48, 66. ↑ Northedge 1986, pp. 48–49. ↑ Northedge 1986, p. 53. ↑ Northedge 1986, p. 50. 1 2 "Organization and establishment:The main bodies of the League of Nations". The United Nations Office at Geneva. Archived from the original on 9 December 2008. Retrieved 18 May 2008. ↑ Northedge 1986, p. 72. ↑ Northedge 1986, pp. 48–50. ↑ Northedge 1986, p. 48. ↑ Northedge 1986, pp. 42–48. 1 2 "League of Nations Photo Archive". University of Indiana. Archived from the original on 9 September 2011. Retrieved 15 September 2011. ↑ Grandjean, Martin (2016). Archives Distant Reading: Mapping the Activity of the League of Nations’ Intellectual Cooperation Archived 15 September 2017 at the Wayback Machine . In Digital Humanities 2016, pp. 531–534. 1 2 Northedge 1986, pp. 179–80. ↑ Scott 1973, p. 53. ↑ Frowein & Rüdiger 2000, p. 167. 1 2 "Origins and history". International Labour Organization. Archived from the original on 27 April 2008. Retrieved 25 April 2008. ↑ Northedge 1986, p. 182. ↑ Baumslag 2005, p. 8. ↑ Northedge 1986, pp. 186–187. ↑ Northedge 1986, pp. 187–189. ↑ McAllister 1999, pp. 76–77. 1 2 Northedge 1986, pp. 185–86. ↑ Northedge 1986, p. 166. 1 2 Northedge 1986, p. 77. ↑ Scott 1973, p. 59. ↑ Torpey 2000, p. 129. ↑ Tripp 2002, p. 75. 1 2 Scott 1973, pp. 312, 398. 1 2 Magliveras 1999, p. 31. ↑ Northedge 1986, pp. 192–193. ↑ Northedge 1986, p. 193. ↑ Northedge 1986, p. 198. ↑ Northedge 1986, p. 195. 1 2 3 League of Nations (1924). "The Covenant of the League of Nations:Article 22". The Avalon Project at Yale Law School. Archived from the original on 26 July 2011. Retrieved 20 April 2009. ↑ Northedge 1986, pp. 194–195. ↑ Northedge 1986, p. 216. ↑ Northedge 1986, pp. 73–75. ↑ Northedge 1986, pp. 70–72. ↑ Henig 1973, p. 170..
1 2 Scott 1973, p. 60. ↑ Northedge 1986, pp. 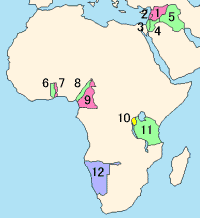 77–78. ↑ Scott 1973, pp. 82–83. ↑ Osmanczyk & Mango 2002, p. 2568. 1 2 Northedge 1986, p. 88. ↑ Scott 1973, pp. 83. ↑ Northedge 1986, pp. 103–105. ↑ Scott 1973, p. 86. ↑ Scott 1973, p. 87. ↑ Northedge 1986, p. 110. ↑ Northedge 1986, p. 107. ↑ Scott 1973, p. 133. ↑ Northedge 1986, pp. 107–108. ↑ Scott 1973, pp. 131–135. 1 2 3 Northedge 1986, p. 78. ↑ Scott 1973, p. 61. ↑ Scott 1973, p. 62. ↑ Scott 1973, p. 63. ↑ Northedge 1986, pp. 78–79. ↑ Bell 2007, p. 29. ↑ Crampton 1996, p. 93. ↑ Osmanczyk & Mango 2002, p. 1314. ↑ Scott 1973, p. 249. ↑ Bethell 1991, pp. 414–415. ↑ Scott 1973, p. 250. ↑ Scott 1973, p. 251. ↑ Northedge 1986, pp. 72–73. ↑ Churchill 1986, p. 98. 1 2 Northedge 1986, p. 112. ↑ Scott 1973, pp. 126–127. ↑ Miers 2003, pp. 140–141. 1 2 Miers 2003, p. 188. ↑ Iriye 1987, p. 8. ↑ Nish 1977, pp. 176–178. ↑ Scott 1973, p. 208. ↑ Northedge 1986, p. 139. ↑ Northedge 1986, pp. 156–161. ↑ Scott 1973, pp. 242–243. ↑ Levy 2001, pp. 21–22. ↑ Bethell 1991, p. 495. ↑ Scott 1973, p. 248. ↑ Scheina 2003, p. 103. 1 2 Northedge 1986, pp. 222–225. ↑ Hill & Garvey 1995, p. 629. ↑ Northedge 1986, p. 221. ↑ Baer 1976, p. 245. 1 2 Events Leading Up to World War II. Library of Congress. 1944. p. 97. ↑ Baer 1976, p. 71. ↑ Baer 1976, p. 298. ↑ Baer 1976, pp. 121–155. ↑ Baer 1976, p. 303. ↑ Baer 1976, p. 77. ↑ Lannon 2002, pp. 25–29. ↑ Northedge 1986, pp. 264–265, 269–270. ↑ Northedge 1986, p. 270. 1 2 Northedge 1986, pp. 113, 123. 1 2 Northedge 1986, p. 114. ↑ Henig 1973, p. 173. ↑ Goldblat 2002, p. 24. ↑ Harries, Meirion and Susie (1991). Soldiers of the Sun: The Rise and Fall of the Imperial Japanese Army. p. 163. ISBN 978-0-394-56935-2. ↑ Northedge 1986, pp. 47, 133. ↑ Northedge 1986, p. 273. ↑ Northedge 1986, pp. 276–278. ↑ Gorodetsky 1994, p. 26. ↑ Raffo 1974, p. 1. ↑ Birn, Donald S (1981). The League of Nations Union. Clarendon Press. pp. 226–227. ISBN 978-0-19-822650-5. ↑ Northedge 1986, pp. 279–282, 288–292. ↑ Knock 1995, p. 263. 1 2 Henig 1973, p. 175. ↑ Henig 1973, p. 176. ↑ McDonough 1997, p. 62. ↑ McDonough 1997, p. 69. 1 2 Northedge 1986, p. 253. ↑ Northedge 1986, p. 254. ↑ Northedge 1986, pp. 253–254. ↑ McDonough 1997, p. 74. ↑ McDonough 1997, pp. 54–5. ↑ Northedge 1986, pp. 238–240. ↑ Northedge 1986, pp. 134–135. 1 2 3 Barnett 1972, p. 245. ↑ Scott 1973, p. 399. ↑ Northedge 1986, pp. 278–280. 1 2 3 Scott 1973, p. 404. 1 2 Denys P. Myers (1948). "Liquidation of League of Nations Functions". The American Journal of International Law. 42 (2): 320–354. doi:10.2307/2193676. JSTOR 2193676. ↑ Pedersen, Susan (October 2007). "Back to the League of Nations". The American Historical Review. American Historical Review. 112 (4): 1091–1117. doi:10.1086/ahr.112.4.1091. JSTOR 40008445. ↑ Northedge 1986, pp. 278–281. Shine, Cormac (2018). "Papal Diplomacy by Proxy? Catholic Internationalism at the League of Nations' International Committee on Intellectual Cooperation". The Journal of Ecclesiastical History . 69 (4): 785–805. doi:10.1017/S0022046917002731. Wikimedia Commons has media related to League of Nations .